The progressive rock sounds of vocalist/guitarist Steven Wilson and his band filled the Town Ballroom Sunday evening. 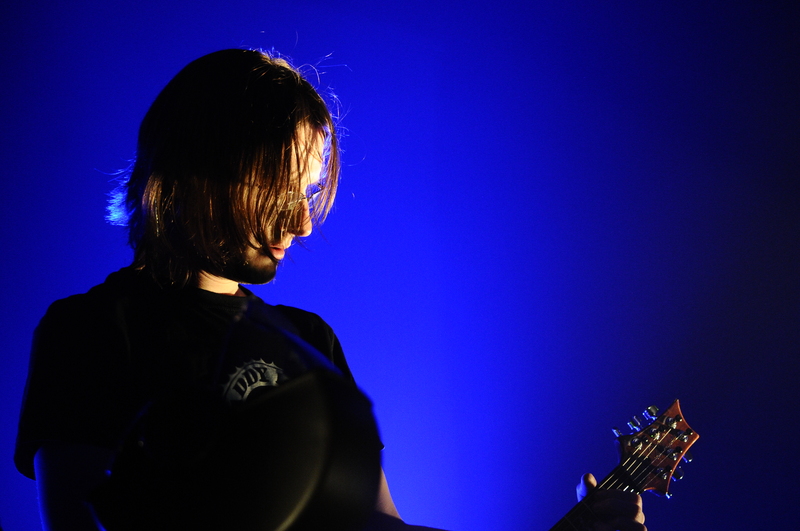 Wilson perhaps best known as leader of the progressive rock outfit Porcupine Tree, treated the near capacity crowd with a strong lineup of talented musicians. The band featured Guthrie Govan on lead guitar, Marco Minnemann on drums, Adam Holzman on keyboards, Nick Beggs on bass and Theo Davis on flute, saxophone and clarinet. Wilson is on a headlining run in support of his third solo release The Raven That Refused To Sing (and other stories), an album many are calling his finest release. The band performed the album in its entirety, One great aspect was Wilson’s ability to tour with the lineup that recorded the album to give it its proper performance. A few highlights of the set included Beggs performance on “The Holy Drinker” a song that features his use of the infamous Chapman Stick. Minnemann also impressed as he has a long storied career in the progressive field playing with some of the genre’s finest talent. Wilson delighted the crowd by digging into his past with a track from Porcupine Tree, “Radioactive Toy”, one of that band’s earliest tracks. To see a show with the talented musicians that were on the stage, performing at a level some musicians can only dream about, made the show seem surreal. Notwithstanding the reality of everything easily makes this tour a must see for any fan of progressive rock.